When it comes to presidents, I prefer them quiet and subdued, but when I look back, I kept voting for the loud ones. I’m much like a woman who claims she’s looking for good guys but constantly ends up with bad boys. I’m not the only one, judging by the recent results of US elections. So I’m hurrying to finish this article, in a McDonald’s with non-working Wi-Fi, fueled by their free coffee promotion with only 30 minutes left to go. As stated before, I don’t have much respect for politicians. Though I voted in nearly every election I could, I have never been truly inspired by a politician; I generally pick the least damaging candidate. I also don’t expect them to be “inspiring” but I do understand that some voters need to fool themselves in this way. 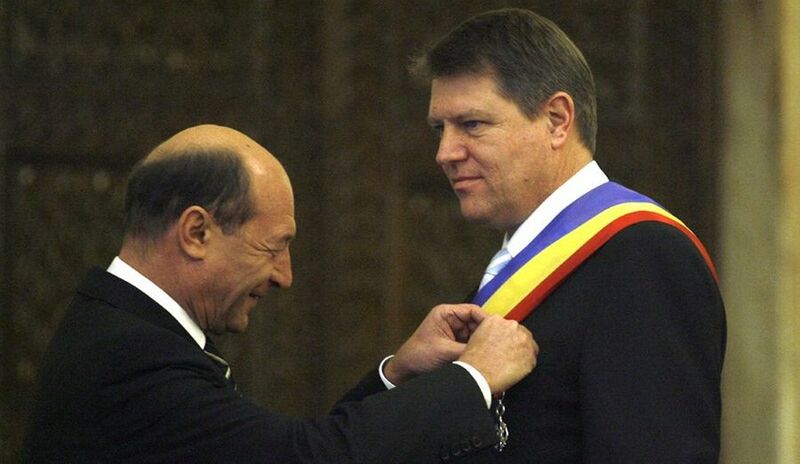 When I voted and defended Basescu I did so because his competition was far worse. Yet his post-presidential performance is quite disappointing. Sexism – nobody likes or wants a woman as president (not even women). That doesn’t mean that a woman could never become President of the USA, but she’d have to be pretty special, and Clinton was not. What hurts, is how terrible Trump’s campaign was. As everywhere else in the West, the working class is hurting and they are lashing out against immigrants and neoliberalism. Free trade deals are unlikely to be dismantled, but they might be renegotiated with an eye to make Trump and his kids rich. It’s a revolt against political correctness. People have had it being shamed for saying what they think and have not internalized the few PC rules that actually make sense. Trump’s win was likely sponsored by Twitter, much like Chef. What else could make that “microblogging platform” relevant and bring it back from its fall into obsolescence? I’m an immigrant, I’ve traveled the world and lived, worked and studied in several countries. I am all for open borders but I also support policies that make sure that the poor are taken care of. I cannot fully align myself with Hayek libertarians, but I don’t believe in nationalism and closing borders either. I don’t like belonging to a tribe. I support the Canadian policy of accepting as many Syrian refugees as possible and deplore keeping the door closed to Romanians (not because Romanians are intrinsically better than Syrians – they are not; rather, because I still have ties to Romania). The Democrats (and leftists, generally, in the West), tend to choose smart people who cannot relate and who run campaigns doomed to failure. To me, Hilary vs Trump is a repeat of Bush vs Gore. A remarkable failure to read the need for change and “to be inspired”, to understand the Electoral College and give battleground states the attention they might not deserve but it’s necessary for a win, combined with a certain smug superiority and discounting a large part of the electorate, rather than trying to win it, is what toped it all off. Incidentally, this is also part of what doomed Mitt Romney in the not so distant past. What passes in Romania as “left”, i.e., PSD, is not the same as the left in the West, but rather a nationalist caricature of a communist party, that is closer to fascism and Christo-fascism than to anything Marx has ever burped. Meanwhile, the “right” – PNL, USL, or whomever is, has taken or will take their place, apart from having won over only a small part of the urban electorate, are confused, elitist and generally incapable to govern. This is not to say that PSD, the most popular Romanian party, is more capable, but while I have zero expectations from PSD, it hurts when I see PNL & bros being stupid. One common theme of the US election was the near-universal condemnation of Trump’s threat of prosecuting Hillary. Though this might fulfill the need for circus of the average rural or suburban redneck, it looks and feels bad nearly everywhere else. Universally condemned, Trump’s threat was countered with “we are not a banana republic”. That’s because this is the norm in many African countries (where some of our social indicators place us anyway): new governments come in a bloodbath, arresting, killing or imprisoning the previous government leaders. Perhaps a recent racist test should have been kept as it helps kids understand this reality (hn-africa). This is what Iliescu did with Ceausescu – although arguably, he had to, although many would argue that Ceausescu had to be silenced. This is what Basescu did to Nastase, collecting in exchange a similar treatment in terms of his house and some silly prosecutions. But this has to stop, because it’s not helpful. Politics is a dirty game, and no successful politician has a clean conscience when it comes to fundraising. Even someone who started out with the best intentions will have done something that is actionable in a court of law. This is why I was reluctant to fully embrace Nastase’s prosecution and conviction – even though he pointlessly attacked diaspora, I still feel that there is something wrong with that. I’m also not particularly happy about Iliescu’s prosecution – not because I consider him innocent, but rather because his prosecution would feel, much like Nastase’s, vindictive, unnecessary and counterproductive in terms of Romania’s public image. And so does Severin’s downfall – a capricious rejection of reality. If any of these Adrians would have attempted suicide much like the innocent Republican of the 70s, they’d have succeeded. And that’s the part that hurts the most. Despite all the prosecutorial efforts, Romania continues to have the Balkanized, corrupt image it always had in the West. All the successes of DNA (the anti-corruption directorate headed by Kovesi and hunted even by ex-Mossad agents) are either unknown in the West or contribute to Romania being seen as an African country somehow parachuted on the European continent. I suspect that our public image has little to do with reality and more to do with the “Roma confusion”, as yet unshakable. In this context, Basescu’s recent attacks at Iohannis and then at Plesu may be excusable considering his precarious and vulnerable position. “Mr President” does not carry here the same weight as in USA and prosecutions are fair game. In case you didn’t know, Klaus Iohannis, the quiet Romanian president of German ethnicity, visited a park hosting a few sculptures by Brancusi, and sat at a table that was supposed to stay untouched for preservation purposes. The table is named “the Table of Silence”, which is symbolic to me, considering the complaints many Romanians have of their president not being very chatty. The previous Romanian president, Basescu, posted on Facebook his outrage, using strong words, that the national patrimony has been desecrated. Andrei Plesu, a former Minister of Culture in a few governments, including Basescu’s, wrote an article stating the obvious: the defenders of Romanian sculptural purity are full of it, but he had a conciliatory tone and did not specifically name Basescu. Basescu retorted calling him “without character”. Additionally, Adrian Severin, a Romanian MEP exposed by a newspaper in a farce to be a corrupt MEP was recently convicted. Unlike the other Adrian’s conviction, no attempt to plagiarize Dwyer here. I am not going to characterize Iohannis gesture of sitting down at Brancusi’s Table of Silence, because to me, the symbolism of this quiet president, recollecting himself at the sculpture made by one of the most authentically Romanian expats ever is far louder than anything Base might say. However, I have to express my disappointment in Basescu’s conduct. Maybe Plesu’s article was more biting than I gathered, or maybe he did more or said more than what I could find, but the tone and intent is nowhere near what Basescu perceived. Or it could be that Basescu feels deserted by everyone and cannot live a post-presidential quiet life. Either way, such overreactions are grotesque. Even when I disagree with what Plesu is writing, I can’t help liking his style, whereas whenever I stumble upon Basescu’s writings or utterings, I shudder. I finished this article in a public library. Writing at home doesn’t work for me. Thank you for reading (mulţam fain pentru cetire)! Publicat Saturday, November 19, 2016 . Similar articles under the following categories (poţi găsi articole similare sub următoarele categorii): boroboata ( ), lucrand la fatada ( ) . Dacă ţi-a plăcut articolul, PinIt-uieste-l, ReddIt-eaza-l, stumble-uieste-l altora, trimite-l pe WhatsApp yMess şi consideră abonarea la fluxul RSS sau prin email. Ma poti de asemenea gasi pe Google. Trackback poateputea fi trimis prin URL-ul de sub Comentarii.